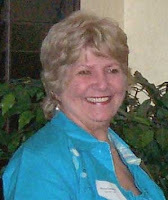 Myra served as the editor of the RootsWeb Review from its inception in 1998 until her retirement at the beginning of 2007. See a biography here. Myra began doing genealogy as an eleven year old, when she went to the local library and did research that disproved a family legend about Jesse James. But it wasn’t until she was in her thirties that she began consistently researching. After experiencing a measure of success doing her own genealogy, Myra proposed writing a column on genealogy to the local newspaper editor. It took several years for Myra to convince him that genealogy had a wide appeal, but from the moment her column, “Shaking the Family Tree,” launched in July of 1983, it experienced tremendous success. Soon the column was picked up by the Los Angeles Times syndicate and passed to other newspapers and readers around the nation. Myra continued writing the column for nineteen years. Her website is here, which includes her email address. From the archives of Genealogical Computing, vol. 22, no. 2, Oct/Nov/Dec 2002.